Tax is complicated; the cycle to work scheme is not. You choose a bike, hire it for an agreed length of time, then snap it up for a fraction of its original value. It's like a year-round sale, with interest free credit available in over 2,000 retailers nationwide. They’ve worked hard to provide a transparent and easy to understand process. There are just four steps to go through to get a bike for work through Cyclescheme. Your salary sacrifice and Hire Agreement now kicks in. You’ll pay a set amount from your salary each month in exchange for the hire of your Cyclescheme package from your employer. The deduction is made from your gross salary, so you make income tax and national insurance savings of 32% if you're a standard rate tax payer, or 42% if you're a higher rate tax payer. 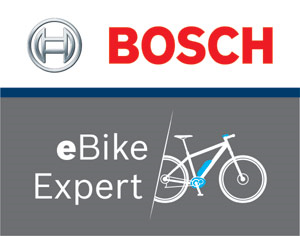 For a Cyclescheme package under £500, you'll pay 3% of the original value; for a package over £500, it's 7% – so a maximum of £70 on a £1,000 package. The bike remains ‘hired’ until the Cyclescheme package is 4 years old, but with no more monthly payments. Ownership can then officially be transferred to you at no extra cost. What is Cyclescheme? from Cyclescheme Ltd on Vimeo.